Making beautiful responsive and semantic user experiences for over 10 years. Working with individuals, small businesses and large international teams to create a wide variety of internet products. 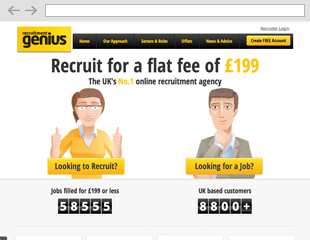 Specialising in front-end development, utilising modern JS technologies and agile workflows. My second Code Club; a great opportunity to expand my chance to teach more kids and help them learn how to code. 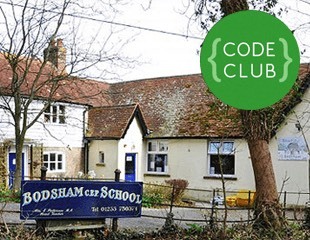 A Code Club I setup to start teaching kids aged 9-11 at the beginning of 2014. 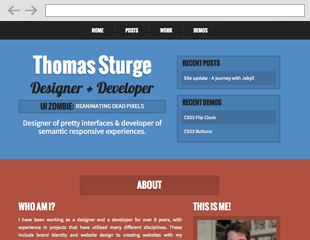 The second iteration of my personal site. Featuring more focused writing platform and a showcase for my working experience.